Product prices and availability are accurate as of 2019-04-08 04:50:02 EDT and are subject to change. Any price and availability information displayed on http://www.amazon.com/ at the time of purchase will apply to the purchase of this product. 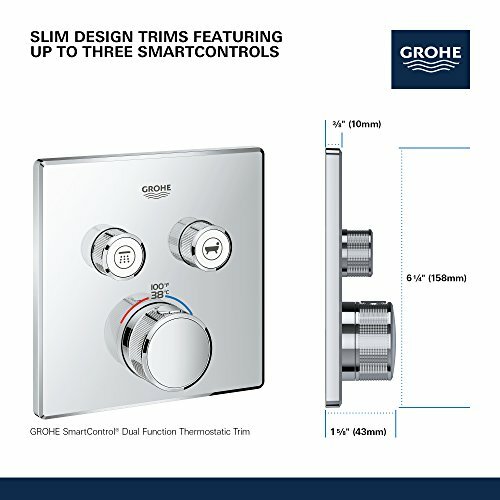 Grohtherm SmartControl – break the mould with this chic, slim thermostat offering total flexibility Choose a thermostat that is as flexible as possible for your most enjoyable shower or bath ever. 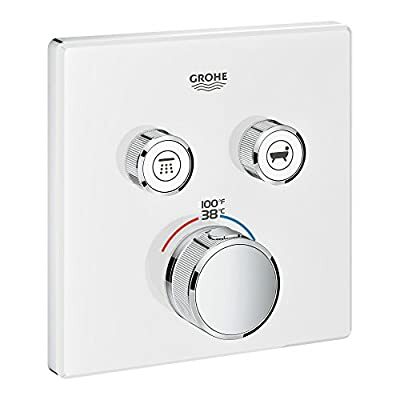 Packed with useful features, the Grohtherm SmartControl concealed thermostat features a minimalist design and stylish Moon White that will enhance any modern bathroom. The innovative SmartControl technology allows you to select your desired spray source and adjust the water volume at the push-turn of a button. The three valves offer total flexibility, whatever your shower set up – you can control, switch between or even combine different spray patterns and water outlets – perfect for spaces where you want to have hand, head and side showers, as well as a bath. 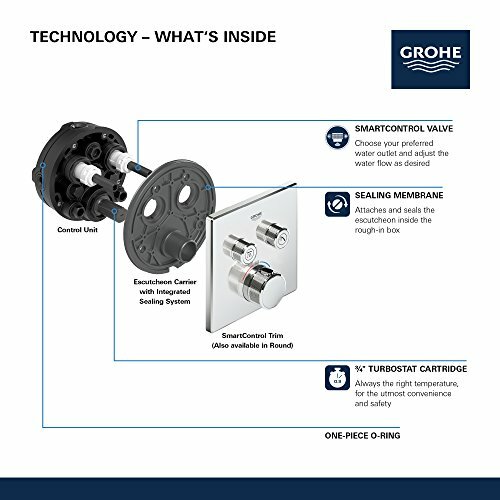 Integrated GROHE TurboStat technology prevents any unpleasant temperature fluctuations. 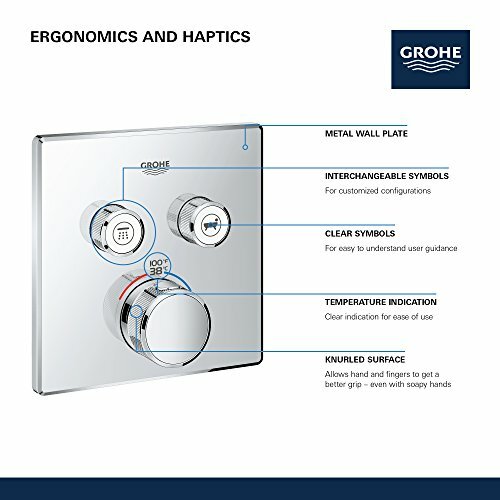 GROHE EasyLogic markings and textured buttons with exchangeable symbols make it easy and intuitive to use. 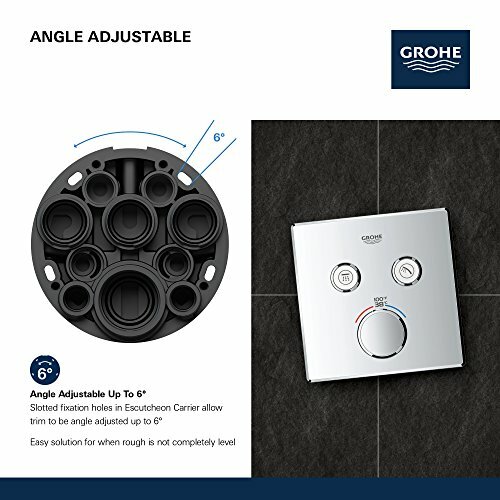 Family-friendly, the GROHE SafeStop override button allows you to set a maximum temperature of 100° F/38° C to prevent scalding. 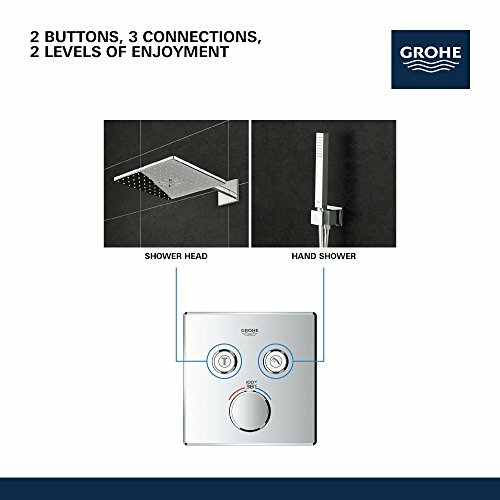 Water-saving GROHE EcoJoy technology gives you the option of a reduced flow rate with no compromise on enjoyment. Thanks to the GROHE QuickFix system it’s swift and straightforward to install. The slim profile makes it easy to keep clean, and the chic, durable GROHE StarLight Moon finish will look pristine for years to come. With a slim, round design perfect for that minimalist, streamlined look, this product is bound to enhance your bathroom scheme. 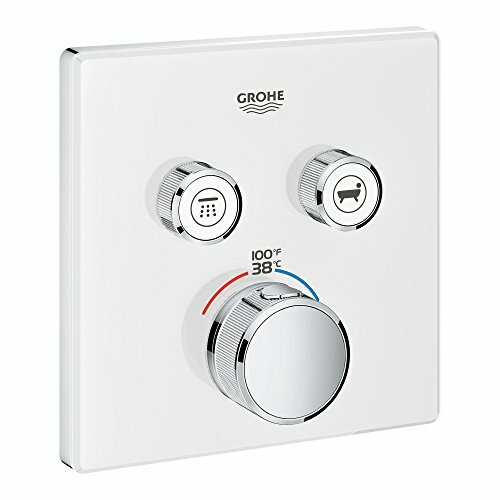 Please note that this product must be installed in combination with the GROHE Rapido SmartBox (35601000).